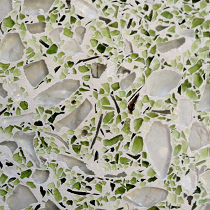 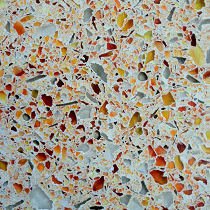 Fiasco™ concrete is our designer friendly "terrazzo" surface. 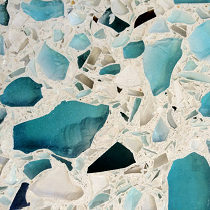 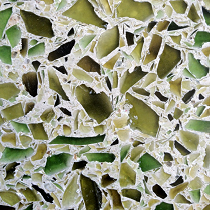 It is comprised of 70-80% recycled glass, either post-consumer or post-industrial depending on the desired look. 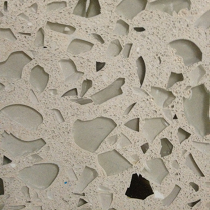 Designers can choose between a variety of glass colors as well as the color of the cementitious surface.